As the holidays are approaching, this trench coat is perfect to wear to the holiday parties! Since it’s such a neutral color, it can be worn with brighter and more fun looks or tone on tone with other shades of winter whites. It’s is a perfectly versatile piece, that can also make a great gift to your best friend, sister or other extraordinary women in your life. If you need more ideas for a perfect gift, don’t forget to check my holiday wish list. When wearing winter whites, layering is the key to look classy and keep staying warm. 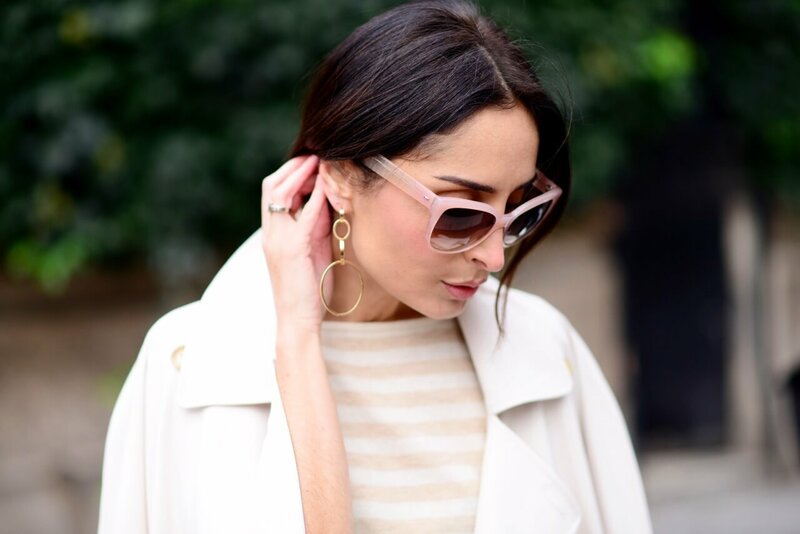 Under this airy trench coat, I wore a cashmere delicate and striped jumper that always keeps me warm and cozy. To spice up the look I put on some Vita Fede jewelry. I’ve been a big fan of Vita Fede for quite some time. I love how the brand’s designer Cynthia K. Sakai seeks the inspiration in art, architecture, and culture, the elements I continuously look upon to find my personal and professional inspiration. All these elements are combined to create the Vita Fede aesthetics. Fusing an innovative design aesthetic with the rich heritage of Italian craftsmanship, Vita Fede presents the new Modern Luxury. I also love the brand’s name; Vita Fede in Italian translates to “life” and “faith,” two elements that connect people across cultures. No need to say that I love the brand’s story, craftsmanship, and design that spices up every, even very basic look. I chose to add some punch to my winter white look with Erin Adamson GAIA Bordeux textured velvet slip-ons and my vegan leather Nanuska ladylike brown handbag I’ve been wearing on repeat recently. You can check here how I styled it with a light blue monochrome look. Style tip: When wearing head to toe winter white look, don’t try to match shades but enjoy the subtleties. Select rich fabrics with different textures and combine varying tones of white. If the head to toe white look seems too pure for your taste, spice it up with accessories in more opulent rich colors. 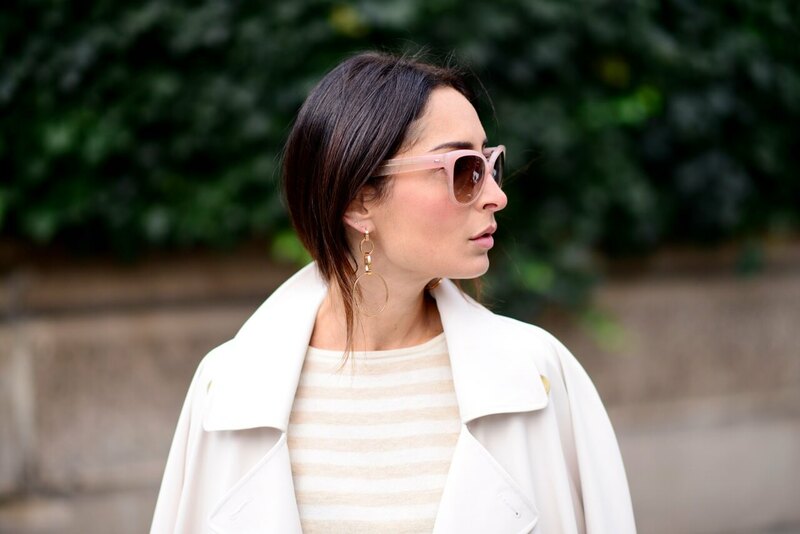 The trench coat is such a timless piece, love to wear it too! Your shoes are such a statement piece. I love this look! Your pictures are amazing! Wow, I am honestly so impressed by this outfit! You really put together something very chic and original!! I love it! Wow i love this total white look! You look so stylish and elegant! Well done!